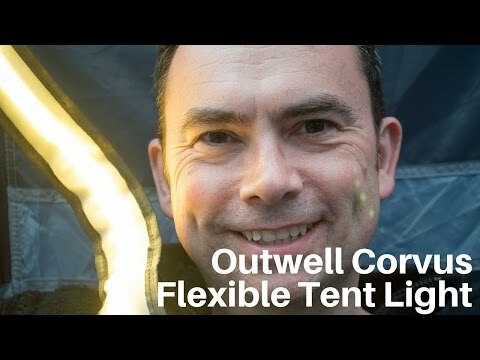 The Outwell Corvus is a flexible dimmable light for your tent. 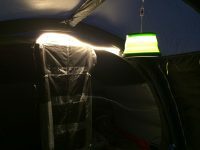 Perfect if you don’t have a lantern hanging point or you want to add light to an area of the tent a normal lantern doesn’t cover. Sometimes you want light in your tent in places that a traditional camping lantern cannot reach. That’s where a flexible lighting strip can be useful. Outwell sent us over their Corvus flexible light to review. The Outwell Corvus is LED powered, so is lightweight and won’t consume a lot of amps on your electric hook-up. Yes, this doesn’t work off batteries, you’ll need EHU in your tent.  (Click here for a guide on how to use EHU in your tent). 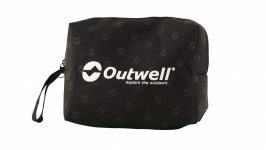 The Outwell Corvus hanging up in our tent. 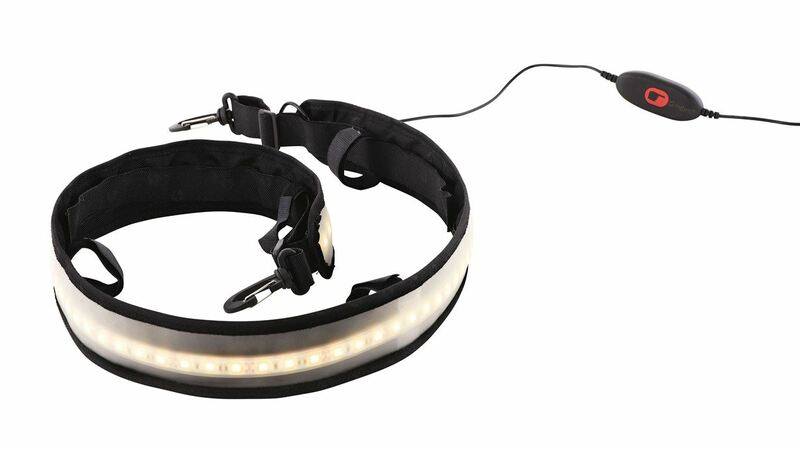 The Corvus light comes with some velcro loops behind the light. This makes it easy to attach to various points in the tent. For example, we were able to loop it around the tent’s cable ties and where the inner tent attaches to the frame. It also has some clips at either end, which also help attach it to various different points you might have in your tent. 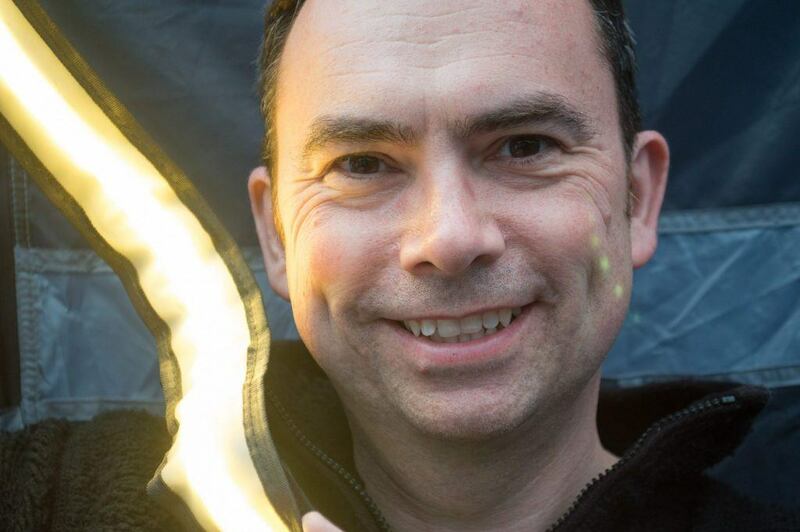 The Outwell Corvus light. See the clips at either end and the velcro loops to help attach it to different places in your tent. The Corvus attached around the bedroom (with the Sargas lamp shown too). 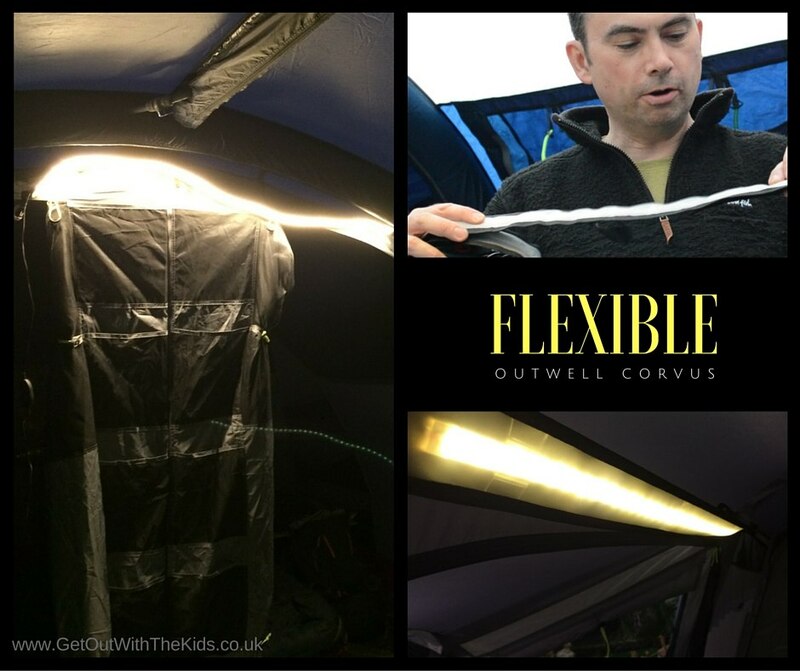 The dimmable Outwell Corvus flexible light. The Corvus comes with a bag, so you can simple roll it up and stow it away ready for your next camping trip. 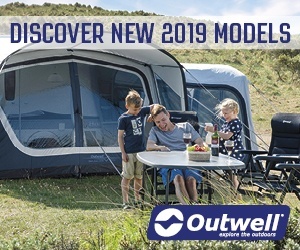 The Outwell Corvus gets the thumbs-up from us. 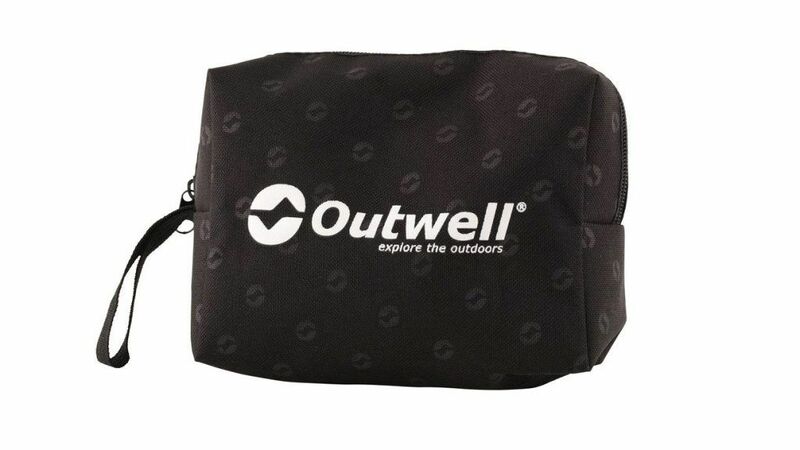 Many thanks to Outwell for sending us an Outwell Corvus light to review. This is not a paid review or sponsored post: all opinions are our own. 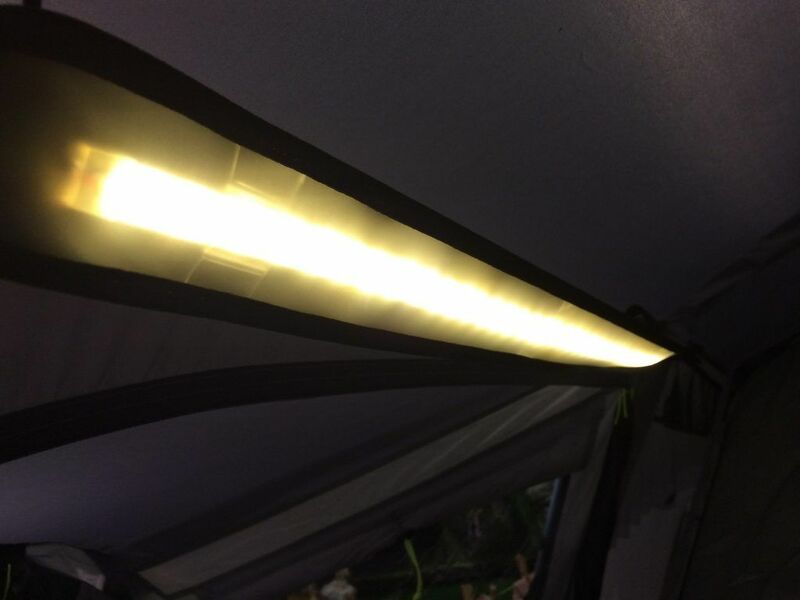 A great option if you need a flexible light for your tent. 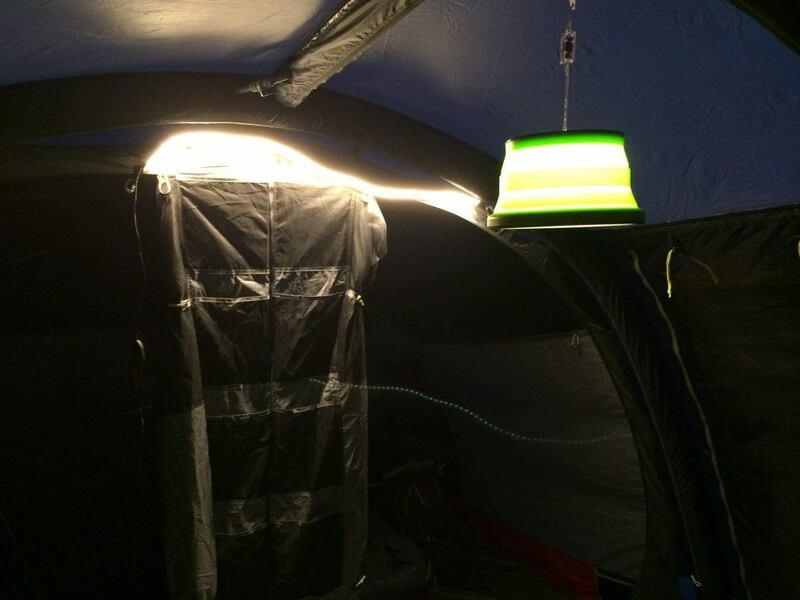 Flexibility to put into your tent, especially if you don't have a lantern hanging point.